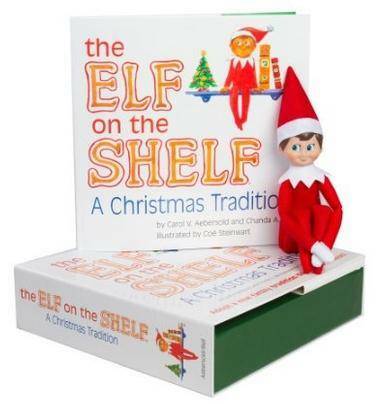 Elf on the Shelf Book & Doll Set $29.95 + FREE $5 Amazon Credit! Home / Deals / Online Deals / Amazon Deals / Elf on the Shelf Book & Doll Set $29.95 + FREE $5 Amazon Credit! I have a Full list of over 25 NEW Elf on the Shelf Ideas you will want to check out! They even have three of the different elves available- the blue eyed boy, blue eyed girl, and elf with brown skin and black hair which are harder to find!!! The DVD of An Elf’s Story is only $9.95 right now, you can snag it and put it in a stocking or watch it to start out the holiday season! Free Photo Mug ($9.99 Value) | Christmas Gift Idea!